Instant shine in a convenient one-use wipe. Individual packets are the quick and clever way to add last minute sheen at shows. Conditions the coat whilst giving a long-lasting shine. 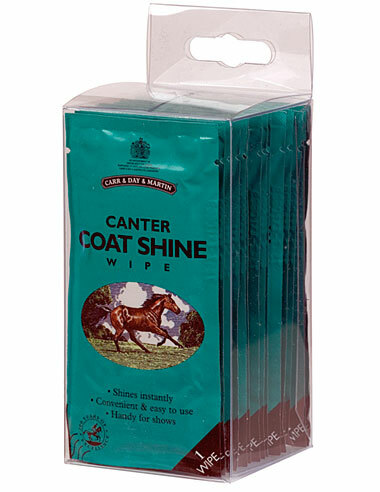 Helps repel grass stains and soiling of the coat. Does not make the coat greasy. New, individual and convenient, single-use impregnated wipe. Wipe over the coat for immediate results.